Fed up of the ever increasing prices of the supermarkets, never happy with how fresh the fruit and vegetables are or just want to do your bit for the environment? The solution is simple. GROW YOUR OWN!!!! Why Should You Grow Your Own Fruit and Vegetables? It is often said that there is an added satisfaction value when indulging in your own home grown vegetables or fruit. There are more grow your own growers than ever now. 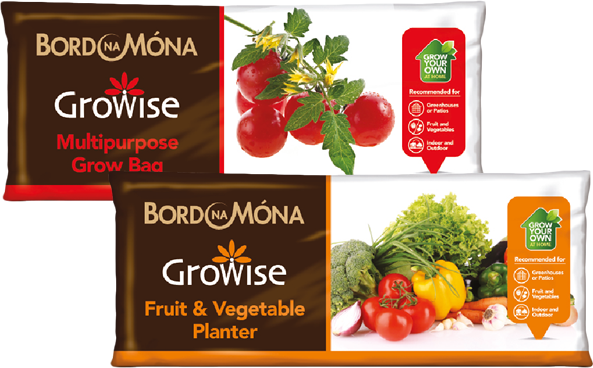 Growise’s Multipurpose Grow Bags and Fruit & Vegetable Planters are the ideal products to get your garden growing off to a flying start. Apart from the self satisfaction of growing your own fruit and vegetables, vegetables picked fresh from your garden are fresher and contain much more vitamins and minerals. You can also save money by cutting out the fruit and veg from your shopping bill. If you only have a very small space to grow your own vegetables use a grow bag or planter and grow 2 or 3 cherry tomato plants against a south facing wall. They are easy to grow and will add colour to your small garden without taking up too much room. If you are looking to grow fresh vegetables to supply you all year round then you would need a larger space set aside in your garden. This will enable you to grow a larger variety of vegetables for all seasons. Remember to only attempt to grow vegetables for your particular climate, although that does not stop you experimenting at growing different varieties. When browsing different types of fruit and vegetables the seed packet will give you an indication of the optimal growing conditions and climate required.